Any closer to the water and you would be in it! 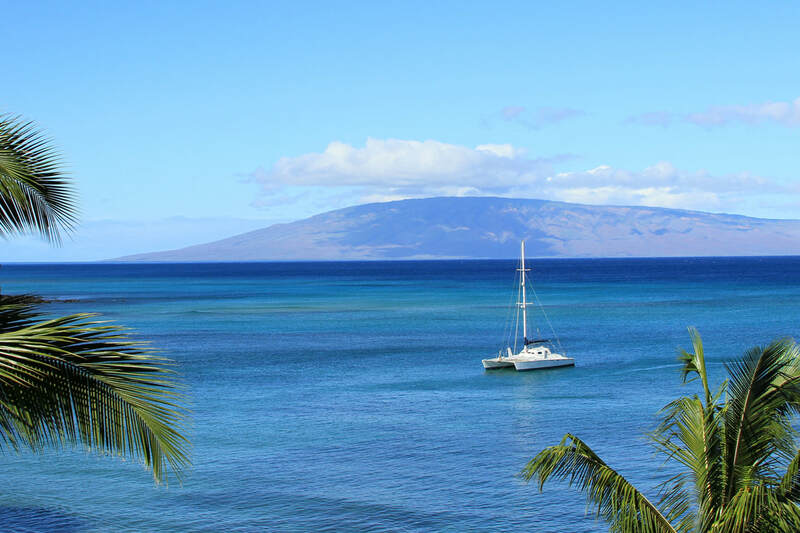 These picturesque Maui vacation rentals are located oceanfront in the charming Kahana community only steps away from the restaurants and shops of the Kahana Gateway center. Watch the tropical Hawaiian sunsets from your spacious lanai, relax by the pool, snorkel out front with turtles, or even try a game of tennis all from these Maui condos. Ocean Front Studio in Kahana. Remodeled and ready for occupancy! This condo is so close to the ocean you can hear and smell the ocean. Whale watch or view the large sea turtles from our lanai. Sleep like a baby on our Westin Heavenly King bed. Got 2 more? We also have a super cozy queen sofa sleeper. What makes this condo so special? We have a washer and dryer IN our condo and we placed our A/C unit below the window which makes for a cool and restful experience. Recent updating included granite counters with a custom built-in breakfast bar, real bamboo flooring, brand new JVC 37" Flat screen LCD TV and Blu-Ray DVD player. Enjoy your morning coffee or afternoon cocktail on our brand new furniture on the tiled lanai. Stairs to entrance (17 steps), no elevator. ​This quality 2 bedroom, 1 bath cottage with spacious Lanai opens to a beautiful tropical setting. The 13-foot high vaulted ceilings provide a feeling of size and volume found only in larger more expensive properties. Both bedrooms offer comfortable queen size beds, cool air conditioning and ceiling fans while the bamboo floors in the living room and kitchen bring the feeling of the tropics inside to match the fun Maui decor. A recently remodeled bath with newly installed washer and dryer add to the convenience and comfort. The fully equipped kitchen is ready to jump to action for all your culinary artistry and to service guests at the four seater bar.​ Our Maui cottage is nestled on the top floor of a two-story townhouse and is situated on 9 lush tropical acres with 2 pools, basketball, tennis court and 3 barbecue areas - one located directly on the oceanfront for sunset grilling. This oceanfront promenade equipped with lounge chairs and picnic tables also provides a wonderful place to enjoy your favorite beverage or meal while watching flaming sunsets, sea turtles and humpback whales.